Beginning in the Renaissance, human history entered a period of dramatic change. The Industrial Revolution that began at the end of the eighteenth century greatly increased productivity. The national power of each country went through tremendous changes, and the structure of global order went through radical changes. At the same time, social structures, thought, and religious traditions also saw dramatic shifts. Orthodox faiths went into decline, human morality began to deteriorate, societies became disordered, and human behavior lost universal standards for judgement. These historical conditions saw the birth of communism. After Russia’s Bolshevik Revolution in 1917, the Communist International, known as the Third International, attempted to export communist revolution to the world. The Communist Party of the United States was founded in 1919, and the Chinese Communist Party (CCP) was founded in 1921. In the late 1920s and early 1930s, a global economic depression further motivated communist ideologues. The world’s political and economic ideologies began a leftward turn, the Soviet Union gained a firm foothold, and the CCP seized the opportunity to develop. In 1949, more than a decade later, the CCP usurped China, and violent communism became ascendant. The Soviet Union and the CCP had together seized dozens of countries and one-third of the world’s population, forming a confrontation against the Western world. The Cold War that followed lasted half a century. While violent communism threatens all mankind, most people in the Western free world neglect the non-violent communist factors developing quietly in their own societies. Besides the infiltration by the Soviet Union, all manner of para-communist ideologies and movements within the West — including outright communists, the Fabian Society, and the Social Democrats, among others — have penetrated government, the business world, and educational and cultural circles. The counterculture movement in the West during the 1960s, as well as China’s Cultural Revolution, were brought about by communist elements. After the 1970s, rebellious youths in the West launched “the long march through the institutions,” an attempt to erode traditional culture from within and seize social and cultural leadership. In just over a decade, they achieved daunting success. After the fall of the Berlin Wall and the disintegration of the Soviet Union, some people cheered the end of that stage of history and the end of communist ideology, while others worried about a clash of civilizations. But few realized that communism was taking on new forms and guises in its attempt to control the world. Its new banner is globalization. With the Industrial Revolution and the development of science and technology, the movements of people and the changes in economics, politics, science and technology, and culture have become far more frequent. Today, modern telecommunications, transportation, computers, and digital networks have shrunk geographies and effaced boundaries that had stood for thousands of years. The world seems to have become small, and the interactions and exchanges between countries is unprecedented. The world has become more and more a unity. This strengthening of global collaboration is a natural result of technological development, the expansion of production, and migration. This kind of globalization is the result of a natural historical process. However, there is another kind of globalization, the result of communist ideologies hijacking the natural historical process of globalization in order to undermine humanity. This second form of globalization is the subject of this chapter. The essence of globalization under the control of communism is essentially about the rapid and widespread dissemination of all the worst aspects of both communist and non-communist regimes. The means of this dissemination include large-scale political, economic, financial, and cultural operations that rapidly erase the boundaries between nations and people. The goal is to destroy faith, morality, and traditional cultures, which humanity depends on for survival and to enable its redemption. All of these measures are aimed at destroying humanity. This book has stressed that communism is not merely a theory, but an evil specter. It is alive, and its ultimate goal is to destroy mankind. 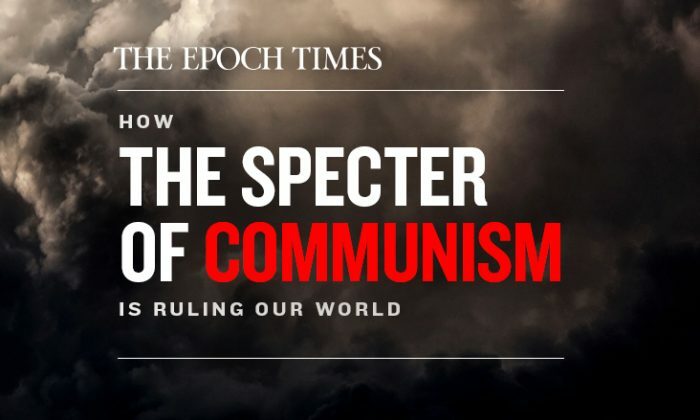 The specter does not hold to a single political ideology, but when conditions permit, is apt to use even political and economic theories that are contrary to standard communist ideology. Since the 1990s, globalization has claimed to be about furthering democracy, the market economy, and free trade, and has therefore been protested against by a number of left-wing groups. But these left-wing groups don’t realize that the communist specter is operating at a higher plane. Economic globalization, political global governance, Agenda 21, and various environmental and international conventions, have all become tools for controlling and destroying humanity. Globalization, also known as “globalism,” as it is manipulated by the communist specter, has made stunning progress in several areas, using a variety of means along a number of routes through the world. This chapter will discuss the economic, political, and cultural aspects of this form of globalism. These three aspects of globalization have merged into a secular ideology of globalism. This ideology has different appearances at different times and sometimes uses contradictory content. But in practice, it exhibits characteristics that are highly similar to communism. Based on atheism and materialism, globalism promises a beautiful utopia, a kingdom of heaven on earth that is rich, egalitarian, and free of exploitation, oppression, and discrimination — one that is overseen by a benevolent global government. This ideology is bound to exclude the traditional cultures of all ethnic groups, which are based on faith in gods and teach virtue. In recent years, it has become increasingly apparent that this ideology is based on the “political correctness,” “social justice,” “value neutrality,” and “absolute egalitarianism” of the Left. This is the globalization of ideology. Each country has its own culture, but traditionally, each was based on universal values. National sovereignty and the cultural traditions of each ethnic group play an important role in national heritage and self-determination, and offer protection for all ethnic groups from being infiltrated by strong external forces, including communism. Once a global super-government is formed, communism will easily achieve its goal of eliminating private property, nations, races, and the traditional culture of each nation. Globalization and globalism are playing a destructive role in this regard by undermining human traditions and ethics and spreading left-wing ideologies and communism. Revealing the communist roots of globalization and the similarities between globalism and communism is a thorny yet extremely important and urgent issue. Marx did not use the concept of globalization in his writings, but instead used the term “world history,” which has very close connotations. In the Communist Manifesto, Marx claimed that the global expansion of capitalism would inevitably produce a huge proletariat, and then a proletarian revolution would sweep the globe, overthrowing capitalism and achieving the “paradise” of communism. Marx wrote, “The proletariat can thus only exist world-historically, just as communism, its activity, can only have a ‘world-historical’ existence.”  That is to say, the realization of communism depends on the proletariat taking joint actions around the world — the communist revolution must be a global movement. Confuse, disorganize, and destroy the forces of capitalism around the world. Bring all nations together into a single world system of economy. Force the advanced countries to pour prolonged financial aid into the underdeveloped countries. From Marx, Lenin, Stalin, and Foster to the “community of human destiny” proposed by the Chinese Communist Party, we can clearly see that communism is not satisfied with having power in a few countries. The ideology of communism from beginning to end includes the ambition of conquering all mankind. The proletarian world revolution predicted by Marx did not take place. What he thought was a desperate and dying capitalism was instead triumphant, prosperous, and flourishing. With the collapse of the Soviet and Eastern European communist camps, leaving only the Chinese Communist Party and a few other regimes, communism seemed to face its demise. This was ostensibly a victory for the free world. But while the West believed that communism would be swept into the rubbish heap of history, the trend of socialism (the primary stage of communism) was flourishing. The communist ghost is not dead. It hides behind various doctrines and movements as it corrodes, infiltrates, and expands communist ideology into every corner of the free world. Is this accidental? Of course not. Globalization seems to be a process of natural formation, but the role of communism is becoming more and more obvious in its evolution. Communism has become one of the guiding ideologies of globalization. After the Second World War, the left-wing forces in European countries continued to grow. The Socialist International that advocated democratic socialism included political parties from more than one hundred countries. These parties were in power in various countries and even spread across most of Europe. In this context, a high level of welfare, high taxes, and nationalization affected Europe as a whole. Globalization has hollowed out U.S. industry, shrunk the middle class, caused stagnant incomes, polarized the rich and the poor, and driven rifts through society. These have greatly promoted the growth of the Left and socialism in the United States, shifting the global political spectrum sharply left in the last decade or so. Left-wing forces around the world claim that globalization has caused income inequality and polarization between the rich and the poor. Alongside these arguments, anti-globalization sentiment has grown rapidly, becoming a new force that resists capitalism and calls for socialism. After the Cold War, communist ideas infiltrated economic globalization, with the goal that there would be no pure national economy, and the sovereignty of each country’s national economic foundations would be undermined. The purpose was to fully mobilize human greed, while Western financial powers shifted wealth — wealth accumulated by society over several hundred years — to quickly enrich the Chinese Communist Party. The CCP then used the wealth it rapidly amassed to morally bind up other countries and drag them down. As the head of the communist forces in the world today, the CCP is constantly strengthening its economic growth while injecting a dose of strength into the left-wing and communist parties around the world. The CCP has used totalitarian rule to undermine the rules of world trade and has used the enrichment it gained from global capitalism to strengthen socialism. The CCP’s economic strength has also spurred forward its political and military ambitions, as it attempts to export the communist model throughout the world. From a global perspective, both the anti-globalization leftists and the CCP, which has benefited from globalization, have risen in the name of globalization. In fact, the status quo of today’s world is very close to the goal that Stalin proposed in the past. In the early 2000s, Jamaica opened its markets and began importing large quantities of cheap cows’ milk. This made milk more widely affordable, but it also led local dairy farmers, unable to survive against the flood of cheap imports, to go bankrupt. Mexico used to have numerous light industrial manufacturing plants, but after China’s entry into the WTO, most of those jobs left Mexico and went to China. Mexico suffered because it does not have high-end manufacturing capabilities. Africa is rich with minerals, but after foreign investment poured in, African minerals were mined out and exported abroad with very little economic gain generated for locals. During the recent Asia Economic crisis, Thailand opened its weak financial system to international investment, which brought temporary prosperity. But when foreign investment left, Thailand’s economy came to a halt and negatively influenced its neighboring countries. With the development of communication and transportation technologies, the earth has become a village. Globalization sounded as if it would deliver financial prosperity and democratic values to the entire global village. However, as professor Dani Rodrik of Harvard’s John F. Kennedy School of Government has stated, there is a “trilemma” of globalization: “We cannot simultaneously pursue democracy, national determination and economic globalization.”  This is the hidden flaw of globalization and something communism has exploited. Obviously, the benefits and opportunities brought about by globalization are limited to a small number of people. Elsewhere, globalization has artificially worsened inequality, and is unable to solve the long-term problems of poverty. Globalization has eroded national sovereignty, exacerbated regional turmoil, and engendered conflict between “the oppressor” and “the oppressed.” Notions about oppression, exploitation, inequality, and poverty are weapons leftists use to fight capitalism, as the resistance of the oppressed to the oppressor is the typical model for communism. The communist ideology of egalitarianism and the ethos of struggle have spread around the world along with globalization. When the United Nations was founded and the U.N. charter was drafted, the then-Soviet Union was one of the sponsoring countries and permanent members of the Security Council, playing a decisive role. Alger Hiss, drafter of the charter and secretary-general of the United Nations Charter Conference, as well as a State Department official and important adviser to Roosevelt, was convicted of perjury in connection with the charge of being a Soviet spy. The hidden back doors present in the United Nations Charter and conventions are beneficial to communist regimes and likely have a great deal to do with Hiss. The heads of many important U.N. agencies are communists or fellow travelers. Many U.N. secretaries-general are socialists and Marxists. For example, the first, Trygve Lie, was a Norwegian socialist and received strong support from the Soviet Union. His most important task was to bring the Chinese Communist Party into the United Nations. His successor, Dag Hammarskjöld, was a socialist and a sympathizer for a global communist revolution, and often fawned over high-ranking CCP official Zhou Enlai. The third secretary-general, U Thant, of Myanmar (formerly Burma), was a Marxist who believed that Lenin’s ideals were consistent with the U.N. Charter. The sixth secretary-general, Boutros Boutros-Ghali, was formerly the vice president of the Socialist International. It is therefore not difficult to understand why the heads of communist regimes regularly receive the highest courtesy of the United Nations. Many U.N. conventions have also become tools to directly or indirectly promote communist ideas and expand communist power. The problem is, if politicians deem it necessary, every right in the Universal Declaration of Human Rights can be legally stripped from citizens. “What better excuse could any tyrant hope for?” asks Edward Griffin. “Most wars and national crimes are committed in the name of one of these [provisions].”  It is difficult for free countries to arbitrarily deprive citizens of their freedom, yet communist regimes can openly take advantage of loopholes in the Declaration of Human Rights. During Boutros-Ghali’s term as U.N. secretary-general from 1992–1996, he initiated rapid advances in the U.N.’s march toward world government. He called for the formation of a permanent U.N. army and was pressing for the right to collect taxes. Due to opposition of the United States, Ghali wasn’t able to serve a second term. Otherwise, the status of the United Nations now would be difficult to predict. Although communist regimes always refuse to interfere in the internal affairs of other countries, they actively participate in various international organizations, support the expansion of the functions of the United Nations, and promote the concept of global governance. The book The Naked Communist, published in 1958, which exposed communism, listed the forty-five goals of communists, one of which was: “Promote the U.N. as the only hope for mankind. If its charter is rewritten, demand that it be set up as a one-world government with its own independent armed forces.”  Many realize that the establishment of a world government cannot be achieved in the short term — so communists and globalists use various issues to establish international institutions in various fields, then promote the unity of these institutions, and continue to advocate for dependence on the United Nations, with the ultimate purpose of establishing a world government. Amid resistance by consumers who obey traditional values, journalists tallied up the hundreds of large multinational companies that have obtained full scores on the Corporate Equality Index (a measure of attitudes toward LGBTQ issues) and found that the companies with the same policies as the chain store covered all aspects of ordinary people’s lives, making a boycott unrealistic. The companies covered almost all major airlines, major brand-name auto factories, chain fast-food restaurants, coffee shops, major department stores, banks, major film-production companies, mobile phone and computer companies, and so on. These values have become ubiquitous and mainstream through globalization via the corporate culture of multinational corporations. South Africa was the first country to introduce a new convention at the U.N. Human Rights Council that requires recognition of sexual orientation and gender identity to be used as indicators of human rights. The convention was ultimately adopted. This is the first U.N. resolution that directly targets sexual orientation and gender identity. In reality, this normalizes what used to be considered deviant ideas by attributing to them the same importance as natural rights. Communism thus uses globalization to mutate and destroy traditional culture and moral values in an all-encompassing fashion. This includes the use of developed countries, global enterprises, and international institutions. People are immersed in the superficial convenience of the global life, but they are not aware that their ideas and consciousnesses are rapidly being changed. In just a few decades, these completely new ideas have engulfed many parts of the world like a raging tsunami. Wherever they go, the culture changes, civilizations are lost, and even the oldest and most closed countries can’t escape. Traditional culture is the root of human existence, an important guarantee for human beings to maintain moral standards. It is the key to human beings’ ability to be saved by the Creator. In the process of globalization, these have been mutated or even destroyed by the arrangements of the communist specter, and human civilization faces an unprecedented crisis. Different nationalities and countries have existed for millenia. Although they exist in different regions, they have different social forms and political systems, use different languages, and have different cultural and psychological qualities — but all share common universal values. These universal values are the core of traditional culture for all ethnic groups. In the short period of little more than one hundred years after the emergence of communism on the global stage, humanity is already in grave danger, as traditional cultures have been undermined and destroyed on a large scale. After the October Revolution, communists took power in Russia and China, the great powers of the East, killing traditional cultural elites and destroying traditional culture by violence. After the Second World War, communist countries infiltrated and controlled the United Nations and other international organizations, abused democratic procedures to allow the majority to conquer the minority, and used money to win over small countries in an attempt to use the U.N.’s big government to pull the whole world toward corruption. Around the world, especially after the end of the Cold War, communism began using international political, economic, and cultural exchanges and cooperation to expand and control globalization, pushing deviant values worldwide, and systematically destroying universal values and traditions. To this day, the specter of communism is ruling the whole world. Today’s transnational political and economic groups have mastered enormous resources, and their influence has penetrated into every aspect of human society. From large issues such as the environment, economy, trade, military affairs, diplomacy, science and technology, education, energy, war, and immigration, to small issues such as entertainment, fashion, and lifestyle, all are increasingly manipulated by globalists. Once a global government is formed, it would be easy for all of humanity to be mutated or even destroyed with a single command. By using globalization in conjunction with other means, the communist specter has ruined human society in just a few hundred years, and both the East and the West are at risk of being destroyed. Only by returning to tradition can human beings reintroduce universal values and traditional cultures to sovereign nations and in international exchanges. This is necessary for returning to universal values and traditional culture, and will allow mankind, under the protection and grace of God, to expel the communist specter and move toward a bright future. Karl Marx, Manifesto of the Communist Party (Marx/Engels Internet Archive), https://www.marxists.org/archive/marx/works/1848/communist-manifesto/ch04.htm. V. I. Lenin, “The Third, Communist International,” Lenin’s Collected Works, 4th English Edition, Volume 29 (Moscow: Progress Publishers, 1972), 240–241, https://www.marxists.org/archive/lenin/works/1919/mar/x04.htm. G. Edward Griffin, Fearful Master: A Second Look at the United Nations (Appleton, Wis.: Western Islands, 1964), Chapter 7. James Bovard, “The World Bank vs. the World’s Poor,” Cato Institute Policy Analysis No. 92, September 28, 1987, https://object.cato.org/sites/cato.org/files/pubs/pdf/pa092.pdf. Sarah A. Webster, “Inside America’s Bold Plan to Revive Manufacturing: It’s All About the Technology,” May 14, 2015, https://www.sme.org/american-manufacturing-and-nnmi/. William F. Jasper, Global Tyranny… Step by Step: The United Nations and the Emerging New World Order (Appleton, Wis.: Western Islands Publishers, 1992), 69. “FBI Chief Finds Red Spies ‘Potent Danger,’” Los Angeles Times, May 4, 1963, as quoted in G. Edward Griffin, The Fearful Master: A Second Look at the United Nations, Chapter 7. See Robert W. Lee, The United Nations Conspiracy (Appleton, Wis.: Western Islands, 1981); William F. Jasper, The United Nations Exposed: The International Conspiracy to Rule the World (Appleton, Wis.: The John Birch Society, 2001); Dore Gold, Tower of Babble: How the United Nations Has Fueled Global Chaos (New York, Crown Forum, 2004); Joseph A. Klein, Global Deception: The UN’s Stealth Assault on America’s Freedom (Los Angeles: World Ahead, 2005); Eric Shawn, The U.N. Exposed: How the United Nations Sabotages America’s Security and Fails the World (New York: Penguin Books, 2006); Daniel Greenfield, 10 Reasons to Abolish the UN (David Horowitz Freedom Center, 2011). Dore Gold, Tower of Babble: How the United Nations Has Fueled Global Chaos (New York, Crown Forum, 2004), 3. Gold, Tower of Babble, 1–24. As quoted in Robert Chandler, Shadow World: Resurgent Russia, The Global New Left, and Radical Islam (Washington, D.C.: Regnery Publishing, 2008), 403–4. Griffin, Fearful Master, Chapter 11. As quoted in Jasper, Global Tyranny, 90. Humanist Manifesto II, American Humanist Association, https://americanhumanist.org/what-is-humanism/manifesto2/. Hilary F. French, After the Earth Summit: The Future of Environmental Governance, Worldwatch Paper 107, Worldwatch Institute, March 1992, 6, http://infohouse.p2ric.org/ref/30/29285.pdf. Jasper, Global Tyranny…Step by Step, 71. As quoted in Chandler, Shadow World, 401. Graeme Reid, “A Globalized LGBT Rights Fight,” Human Rights Watch, November 2, 2011, https://www.hrw.org/news/2011/11/02/globalized-lgbt-rights-fight. United Nations, Office of the High Commissioner, Convention on the Rights of the Child, https://www.ohchr.org/en/professionalinterest/pages/crc.aspx (last visited Jan 25, 2019). Jasper, Global Tyranny…Step by Step, 148. Grace Carr, “Ontario Makes Disapproval of Kid’s Gender Choice Potential Child Abuse,” The Daily Caller, June 5, 2017, https://dailycaller.com/2017/06/05/ontario-makes-disapproval-of-kids-gender-choice-child-abuse/.